This is HikerJamz/CrazyCritter1966’s first show from Naples, Florida, after relocating from SW Ohio! As many of you regular listeners know, HikerJamz recently retired after 47 years of working at various places. 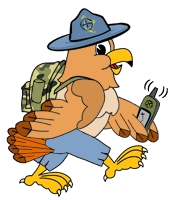 He tells us “Right now I’m enjoying the warm weather and can’t wait till we are really settled in to start geocaching again. In other words, I haven’t found my GPS yet! It’s in one of the boxes. Kinda like a puzzle cache. Figure it out and you find it.” Well, Good luck with that, James, enjoy yourself down there, and keep the shows coming!